Until recently, Craig Walker was the product manager of Google Voice, the current consumer service that offers its users a single telephone number for all their phones. He landed that position by selling his company, Grand Central, to Google for an estimated $45 million in 2007. Prior to that, he started another telecom related start-up, DialPad; which he sold to Yahoo! in 2005 (now Yahoo! 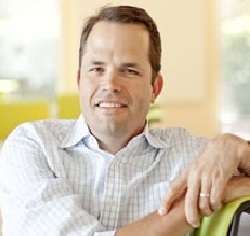 Voice).In September, Craig took a new role at Google Ventures. This division of Google invests about $100 million each year in entrepreneurs and companies. Google Ventures attempts to leverage entrepreneurial experience with its vast resources to launch new ideas into successful ongoing operations. Craig’s new title is Entrepreneur-in-Residence. In his new role, Craig will be looking to start up a new company. Of course, public information is sketchy, but it is reasonable to assume it will be a cloud-based, disruptive, service of some sort.That happens to also describe his last startup, Grand Central (now known as Google Voice). Google Voice is a free service that in conjunction with several other Google services, provides consumers a unified communications solution with voice, email, IM/presence, video, office productivity tools, and collaboration capabilities. Google Voice is currently a consumer service, and the company has not stated how an enterprise version may differ. See The Google Voice Disruption(Aug/09) for additional information on Google Voice.I’ve met Craig at shows and at his office in Mountain View, CA. Google product managers are notoriously quiet about their plans, but with the change in role, and a promise to avoid specific product questions, Craig agreed to a rare public discussion.DM: Does your family home have an analog phone line? CW: No, we use Google Voice that rings our home VoIP phone and cell phones. Our home cellular reception isn’t great, and our WiFi is, so we use Google Voice pretty heavily, especially since it was integrated with Gmail. DM: I know you to be very active with sports and even with coaching your kids’ teams; do your technical skills come into play? CW: I’ve coached my son’s baseball team for the past four years as well as his All Stars team this past year. I also coached my daughter’s soccer team. And yes, I use Google Sites to post relevant information, maps, schedules, phone numbers, rain hot-lines, etc. For more urgent communications, I put the parents’ mobile numbers into lists on Google Voice which supports up to five SMS addresses each. This way I could quickly blast out updates such as schedule changes to the entire team fairly easily and quickly. DM: Tell me about Google Ventures. CW: Google Ventures is 100% driven by financial results and makes investments in everything from small seed investments to multi-million dollar investments. We’ve done deals in a lot of different spaces so no one sector or industry dominates. One of the keys that we look for is a strong management team with a history of success. Ideas and markets change, but finding an entrepreneur that can adapt to those changes is a valuable asset that we like to back. Google Ventures is a venture fund that happens to have Google as its only investor. It is interested in investing in diversified fields, not necessarily related to Google or even the Internet. DM: How did Google discover Grand Central? CW: I had been talking to Google about a possible partnership and gave a group of them a demo at VON in 2006 in Boston. Wesley Chan was one of the attendees at that meeting and he had been looking for something similar to Grand Central and was really impressed with the product. Everything took off from there. [Note: Wesley Chan is also at Google Ventures]. DM: What telecom companies, established or startups, do you find particularly innovative right now? CW: Tough question. I think there’s a lot of innovation on the mobile side with regards to the network, devices and applications. As for telephony services and features themselves though, most of the innovation seems to continue to come from the non-traditional providers like Google, Digium, etc. DM: Google Voice is known as a Virtual Number service (hosted voice without phone service). Many people find this notion confusing. Why do you think virtual numbers make sense? CW: It might be a little confusing if you associate features (voicemail, call recording, transcription, etc.) with the underlying phone dial-tone service. Our idea was to separate the two layers so that consumers wouldn’t be dependent on their dial-tone providers (who do that really well and reliably) for innovative telephony features. The virtual number idea allowed us to create that separation. DM: Have the rules for success in a voice startup changed over the past 15 years? CW: Yes. It all used to be about saving money. Dialpad, Skype, and virtually every other successful voip startup (Jajah, Net2Phone, Vonage, etc.) offered solutions to save money. But more recently, say over the last five years or so, it has been more on differentiated services and new interesting features: Grand Central, Ribbit, RingCentral, Twilio, etc. Of course, there are still lots of opportunities to save money for people, such as with international roaming. But, in general, it seems the “save money” battle cry is less compelling these days. DM: Did your vision for Grand Central change between its beginning and eventual sale? CW: Not really. I recently looked at an earlier investment deck we put together and it was pretty similar to what we ended up building. Of course, the Google resources make it a lot easier to have broader reach and development (transcription, mobile apps, Gmail integration, etc. ), but the basic concept is the same: users should be in control of how and when they want to be communicated with. DM: You have started and sold two voice related start-ups. What is your specific advice to voice entrepreneurs? CW: The good news is that its a lot cheaper to build a service today (hardware, open source software, hosted infrastructure, etc. ), but you do need to understand the telecom space. What the regulatory issues are, who the players are, what are reasonable fees and what are not, etc. Lots of interesting software developers and scrappy entrepreneurs tend to lack that understanding. DM: What is the difference between a Google Voice product manager and a Grand Central CEO? CW: Actually, not that much. Being a product manager of Google Voice was definitely similar to being the CEO of Grand Central. You get to set direction, strategy, feature priority, who to partner with, etc. You also need to sell these ideas internally to get your team on-board and to get the company’s approval (similar to a CEO getting the board’s buy in on strategy and direction). Of course, there are differences as well and being part of a large company required a broader vision of the future than just a single product view, whereas at a start-up you are only focused on your company’s single vision. DM: What was the smartest thing you did with Grand Central? CW: Putting together a great team. We interviewed tons of CTO candidates in the early days and passed on all until we found our guy, Don Fletcher. Don had the perfect background and a great ability to deliver quickly. He also had two others that he brought along so we had a core development team on day one. The rest of the team was equally impressive…from our designer to our web developer, to of course my co-founder Vincent Paquet, everything just clicked with GrandCentral from the very beginning. DM: Can you share a make-or-break decision with Grand Central or DialPad that nearly went the wrong way? CW: Dialpad was a much more challenging road as we did a full reorganization and strategy change from a free (ad supported) model to a paid service model in late 2001, which was a terrible time to be building an internet start-up. Virtually every decision for four years felt like a make-or-break decision. Probably the biggest mistake I made at Dialpad was on the personnel front, and not making changes quickly enough when it was obvious that things weren’t working out. That kind of mistake does have the potential to kill any start-up business. Luckily we made the changes in time. DM: Between VoIP, unified communications, and the cloud–voice is undergoing some major changes…how do you see enterprise voice communications in five years? CW: I believe it will be in the cloud much more than it is today. It seems antiquated to think you need to house an expensive box in your closet to provide phone features to a bunch of desks in an office. CW: Obviously depends on the IPO price, but I like Skype a lot. They’ve done great on the product side since the beginning. DM: Is Google an innovative company? CW: Yes. When I think of all the products and services including Android, Google Voice, Google Maps, Search, Voice Search, Google Earth, Google Sky Map, Gmail, News, and so many more. Google is among the most innovative companies in the world…without question. DM: At Google there were separate groups for Android, Chat, and Voice–then a Real Time Group. Can you shed some light on Google’s definition of Real Time? I take it robotic cars are not in the group? CW: Real Time Communications was the name of the group that comprised Google Voice, Google Talk, and Google Talk Video. The Real Time Communications Group together with the Gmail group created the “Call Phone” feature in Gmail, for example. Talk and Video had a great plug-in for Gmail, Voice then added the PSTN components, and Gmail runs the service.